Pilot Careers Live is visiting London this Saturday and we’ve got the lowdown on what you can expect at the event as the line-up and exhibitors are finalised. We recommend purchasing in advance to take full advantage of the almost half price discount, tickets will be emailed to you on checkout so you are still able to purchase right up until the day of the event. For the price you will have access to a number of different exhibitors from flight training schools, equipment providers and employers from right across Europe. Should I be attending this event? If you are interested in a career in aviation or aerospace, whether that be a flight deck position with an airline or a maintenance position, a position in airfield operations, air traffic control or aero-engineering, this event has it all covered. There will also be representatives for those interested in a Military career as well as helicopter flying plus much more. There will be experts and representatives on-hand to answer your questions whether you’re just embarking on your training or whether you’re still in school or college and still determining your options going forward. We’re at Pilot Careers Live at London Heathrow Sofitel T5 on April 14. Use our promotion code: FTA18 to get your FREE ticket. Are there seminars throughout the day? Margie Burns who is the founding director of Aviation Selection Consultants who has over 25 years experience in pilot recruitment and selection for airlines, military and flight training providers will be offering essential advice to those aspiring to a career in aviation. NATS will be presenting on what a career as an Air Traffic Controller is like and will be explaining lots about the challenging role and how it is such a rewarding career choice. The Royal Air Force Careers department will be presenting on what a flying career in the air force is like giving plenty of information in to the lifestyle, it’s global operations and the nature of the flying and also the requirements for those interested in applying. 14:00 – 14:25 – Pilot Training Panel: Integrated or Modular? A training panel will welcome experts on both routes to answer some pre-selected questions which will inform on the differences between the two routes and will help you to answer the age old question of which route is best for you. 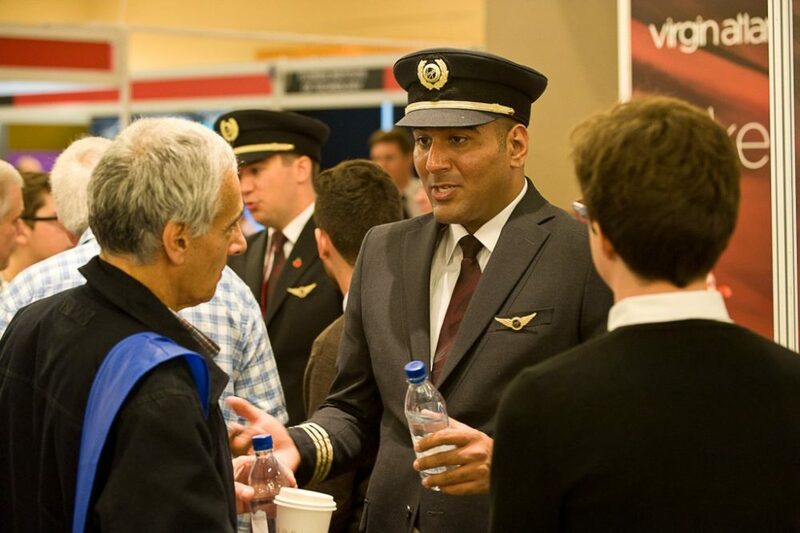 The UK budget airline will be providing attendees with and insight into what they look for when recruiting their pilots including an overview of their application procedure and selection process. We’re at Pilot Careers Live London Heathrow on April 14. Ticket Cost: £8.00/£5.00 Advanced Purchase or £15.00 on the door.